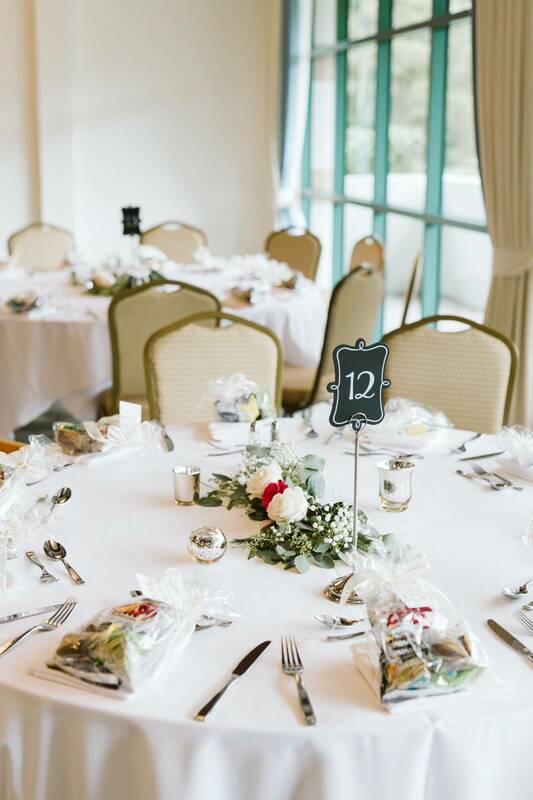 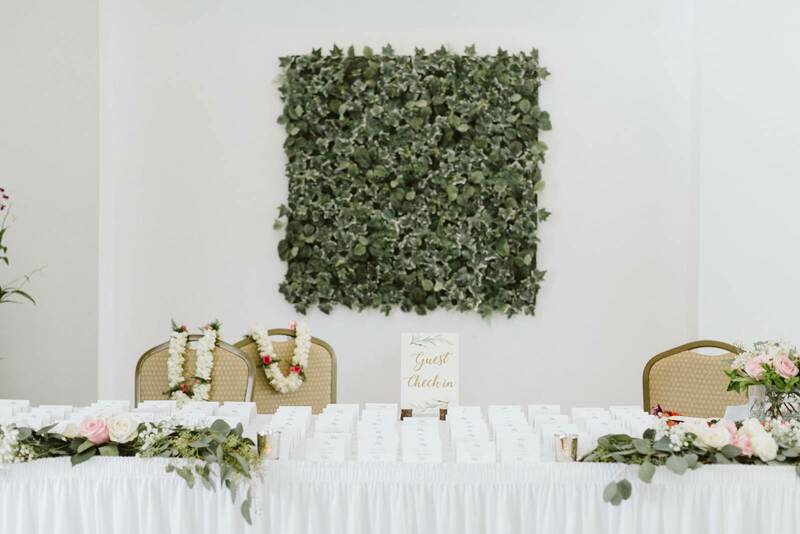 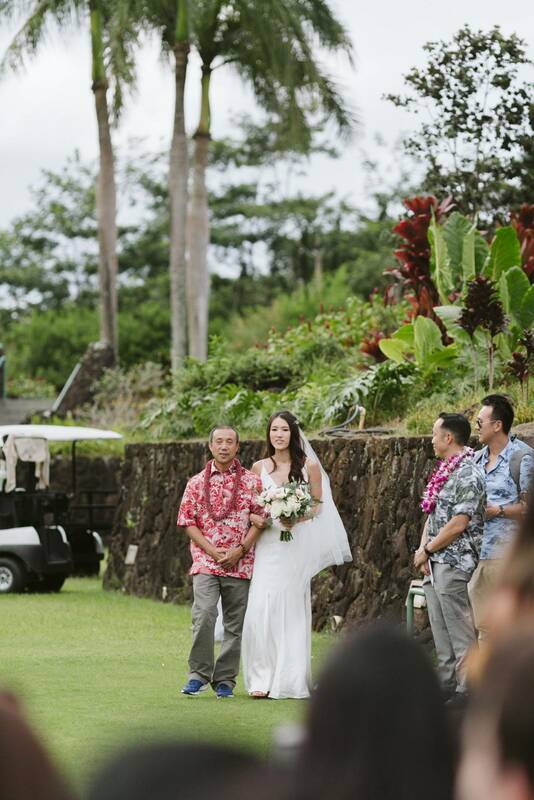 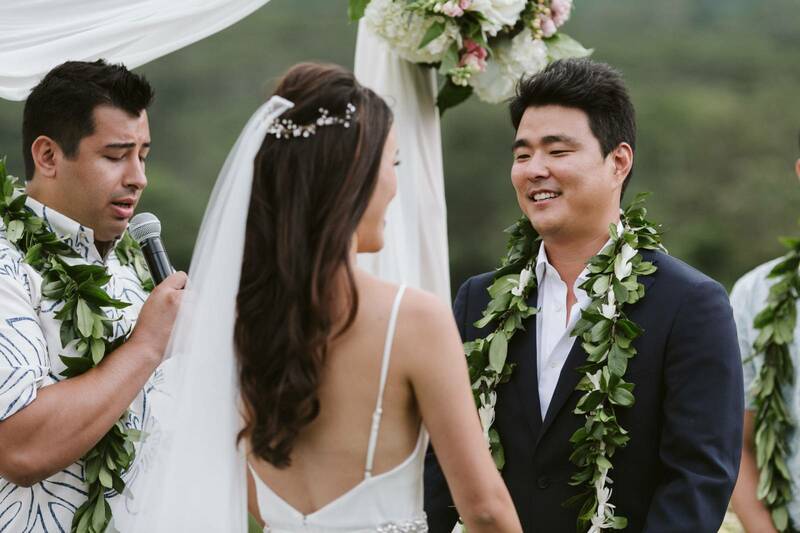 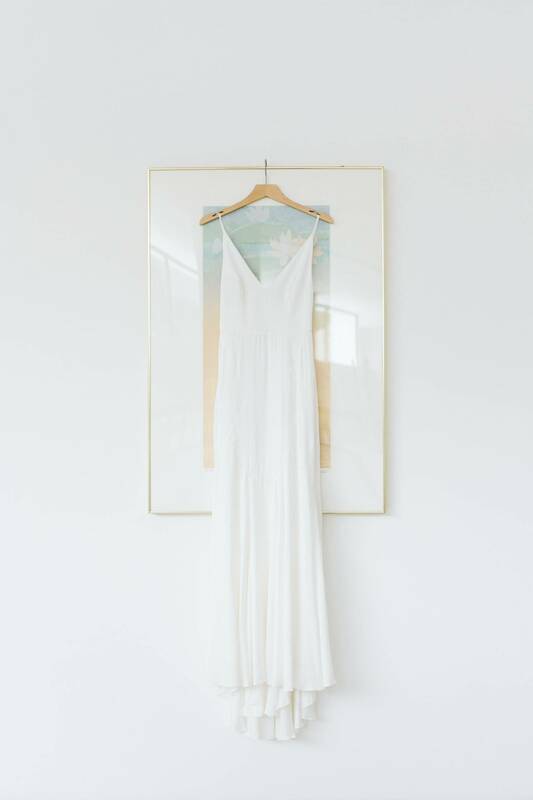 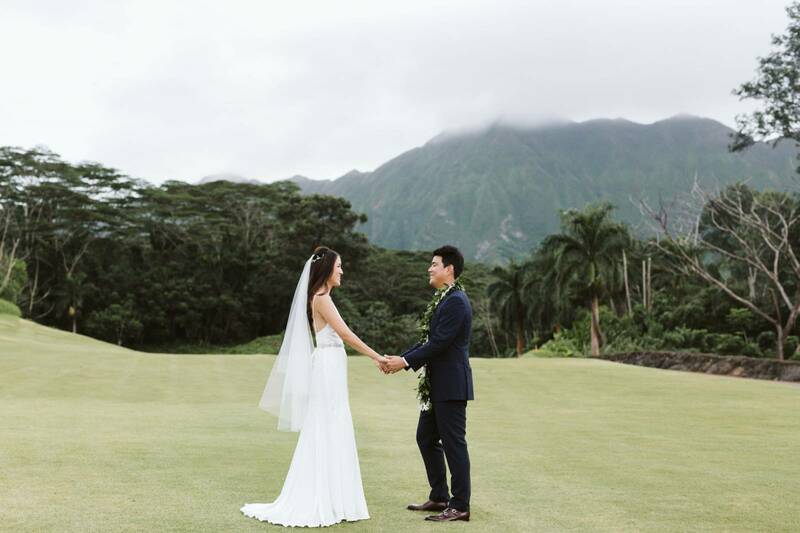 Classic, simple, and elegant perfectly describes Brent and Qing's wedding at the Royal Hawaiian Golf Club. 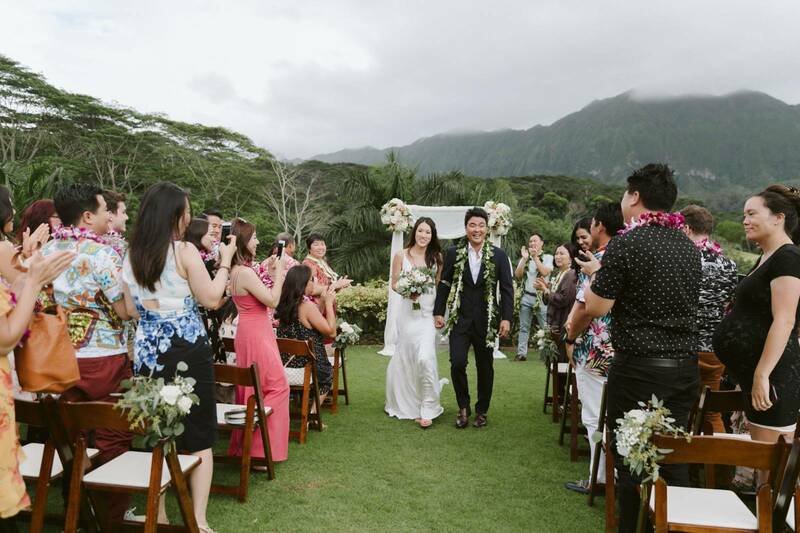 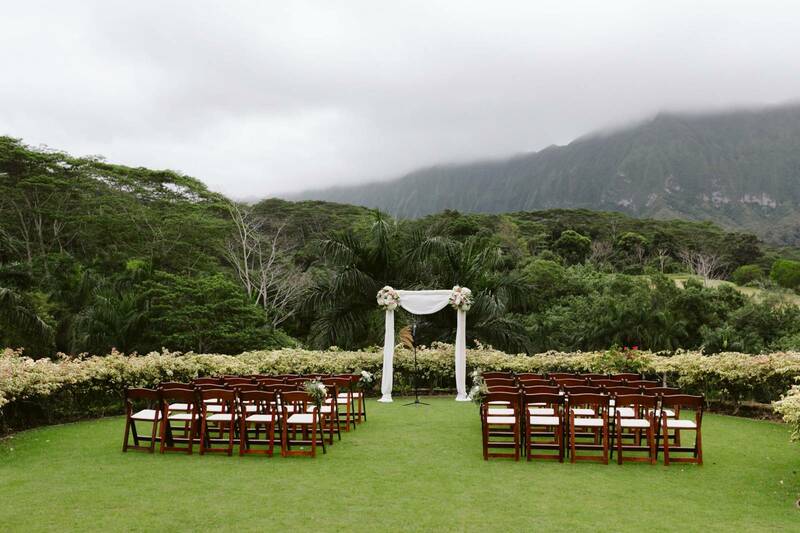 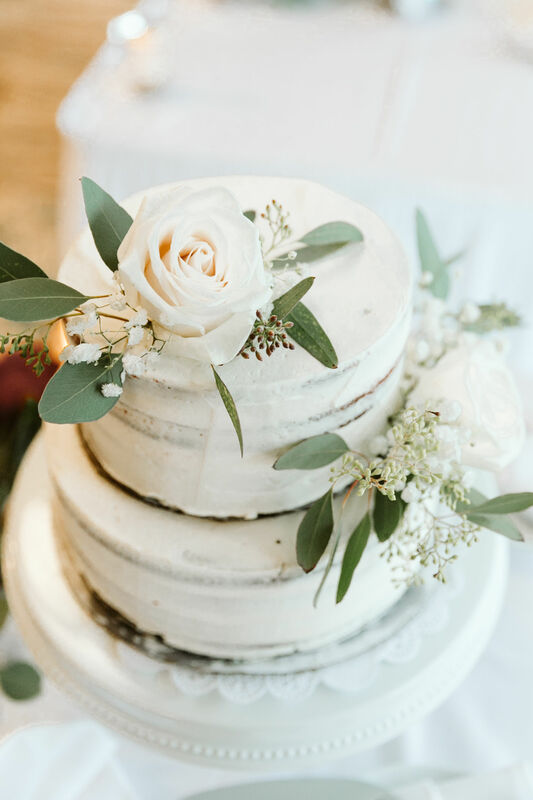 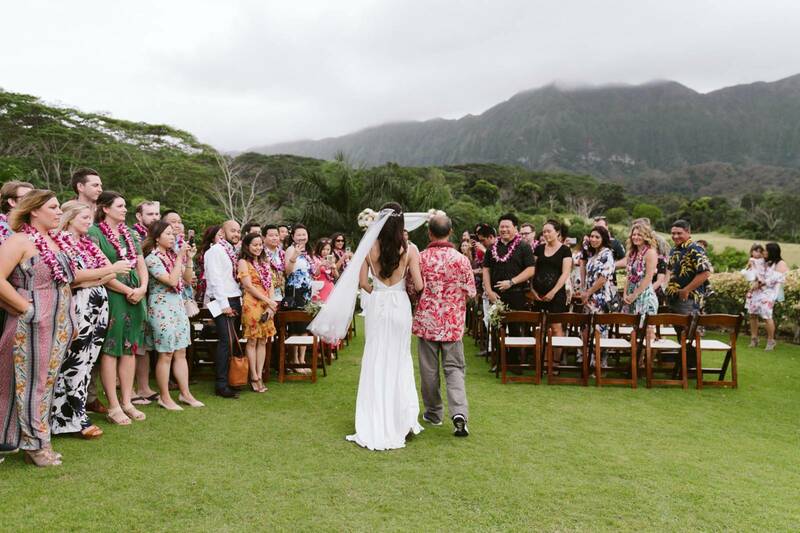 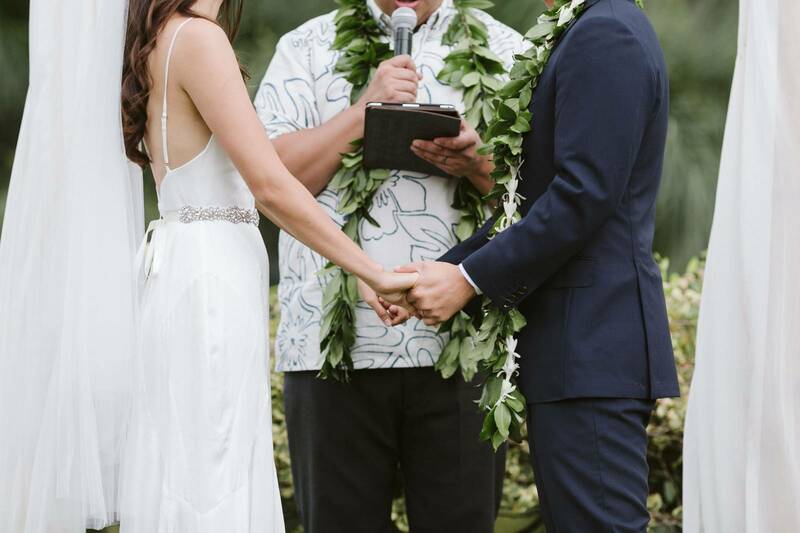 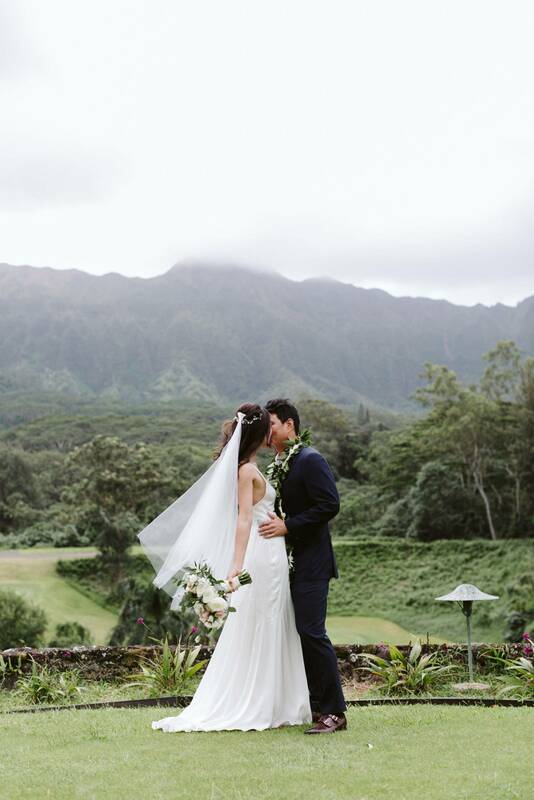 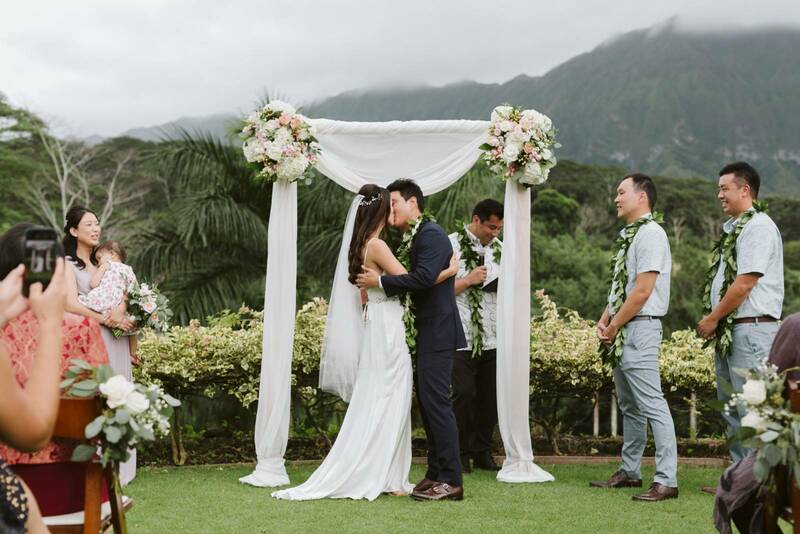 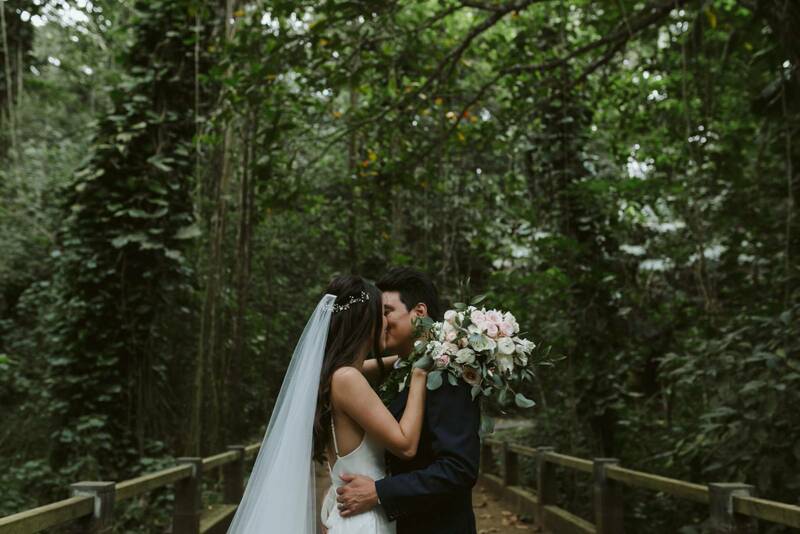 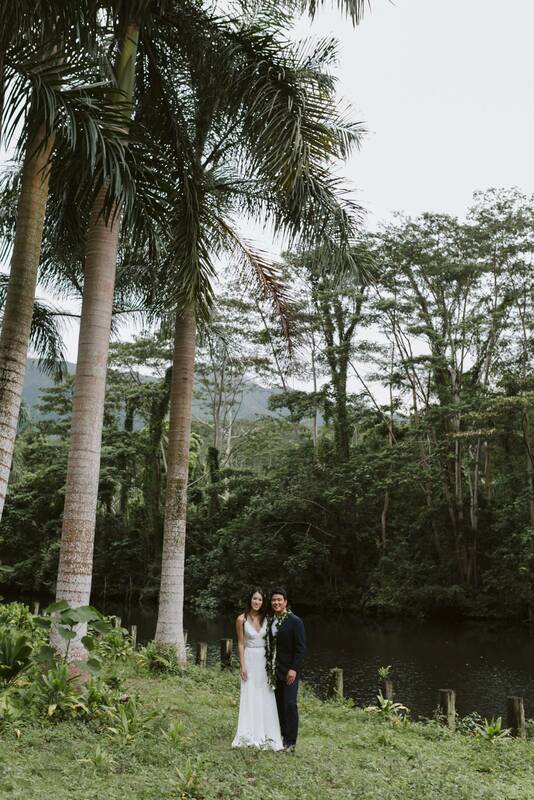 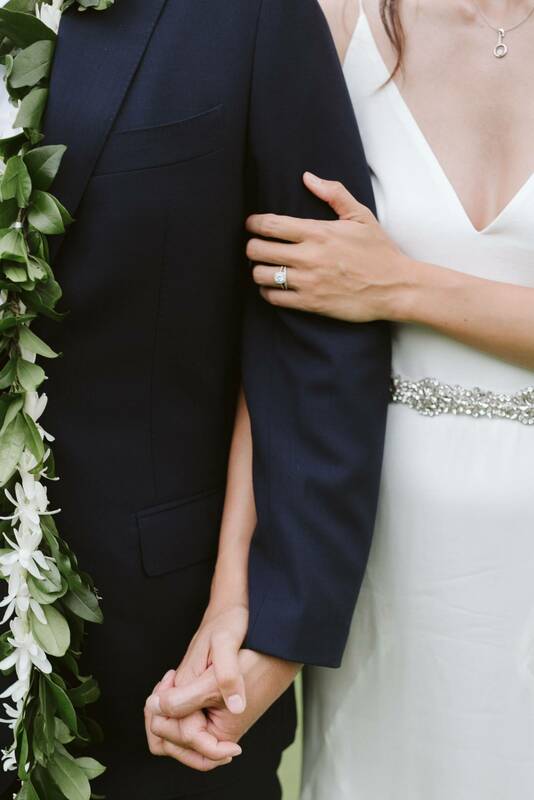 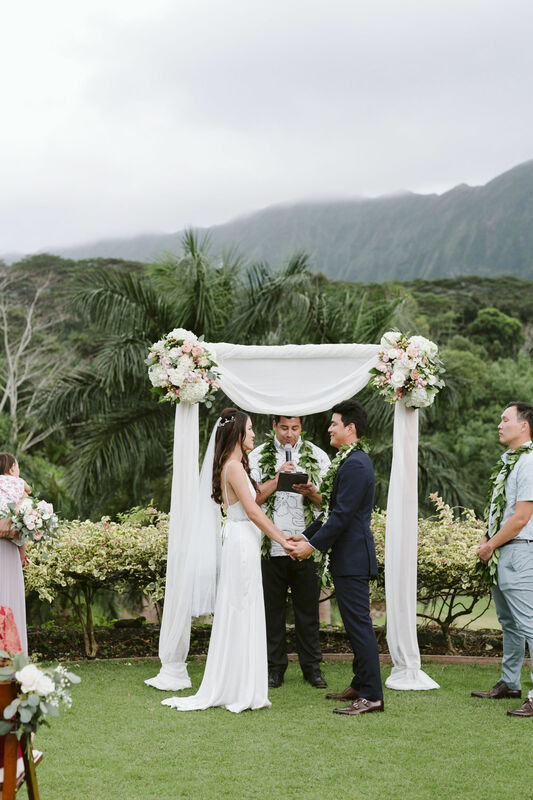 The breathtaking view of the Ko'olau mountains provided a priceless picturesque ceremony backdrop as they kissed for the first time as Mr. and Mrs. Akamine. 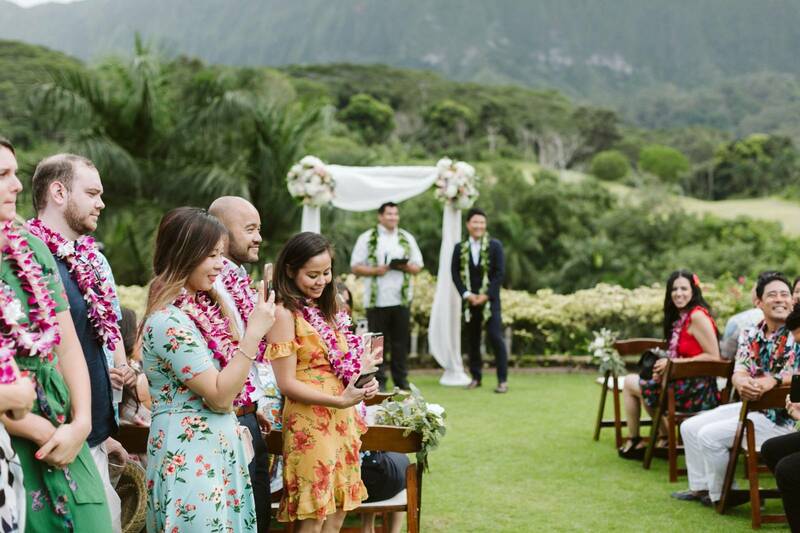 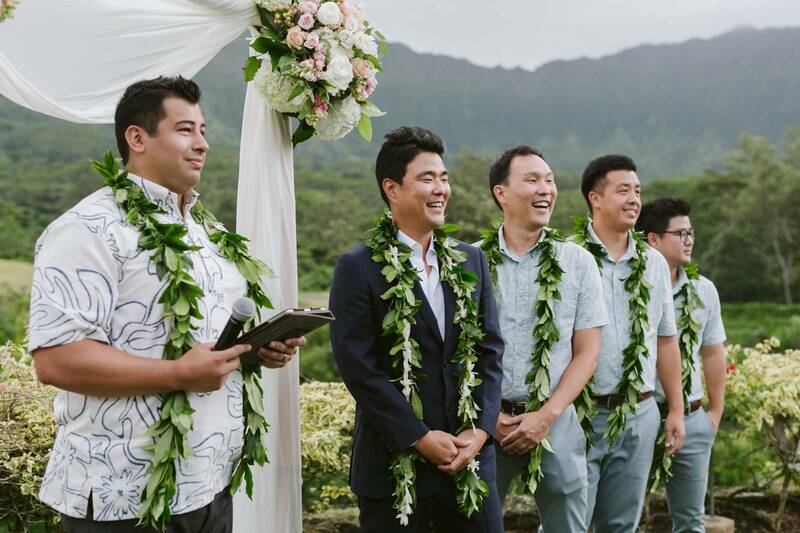 From the orchid flower leis for every guest, to the green T-Rex holding their weddings rings, Brent and Qing made sure to include the personalized details to create a wedding day their family and friends would remember as well. 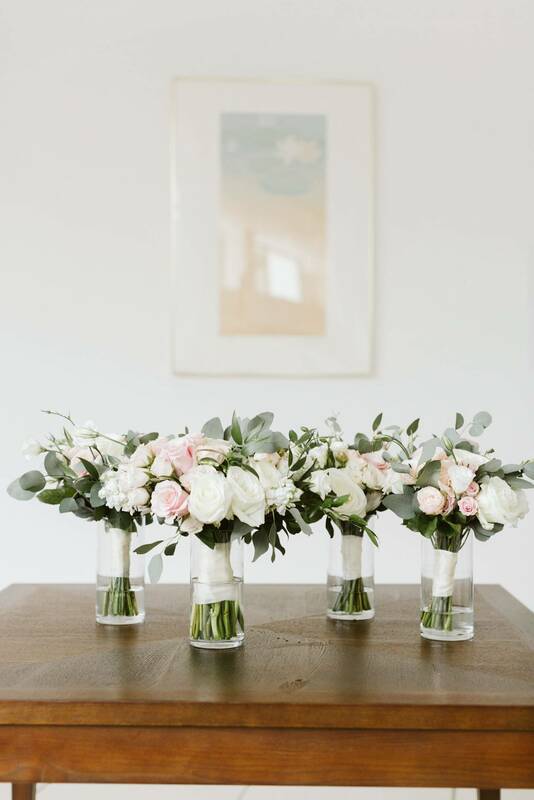 The Ivory, blush, eucalyptus floral arrangements created by Jeff Alancastre provided a romantic touch to their chic wedding reception. 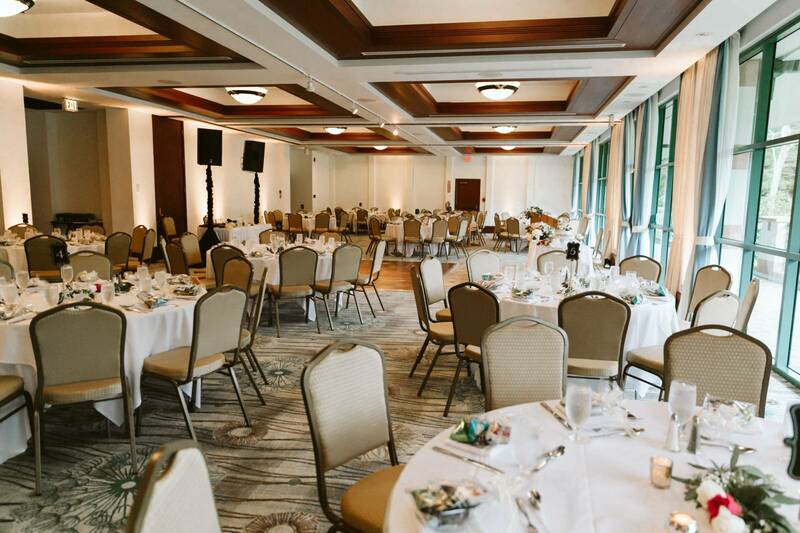 The ballroom was filled with laughter, smiles, tears of joy, and love. 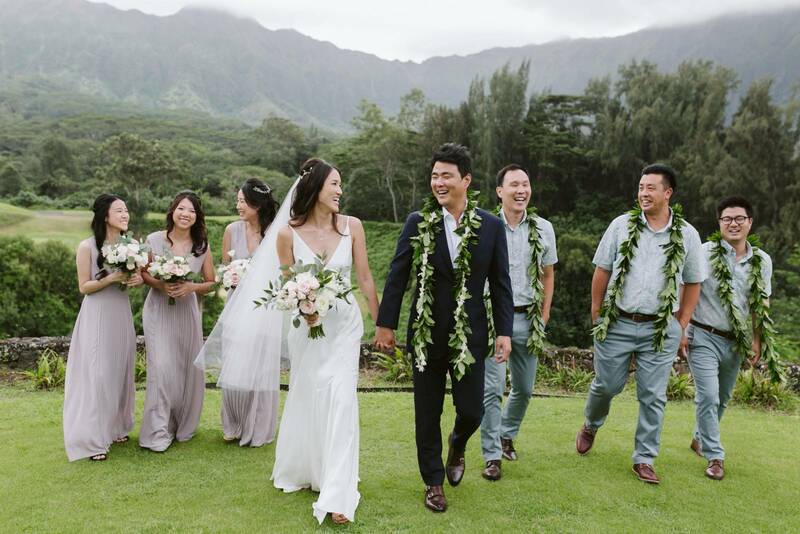 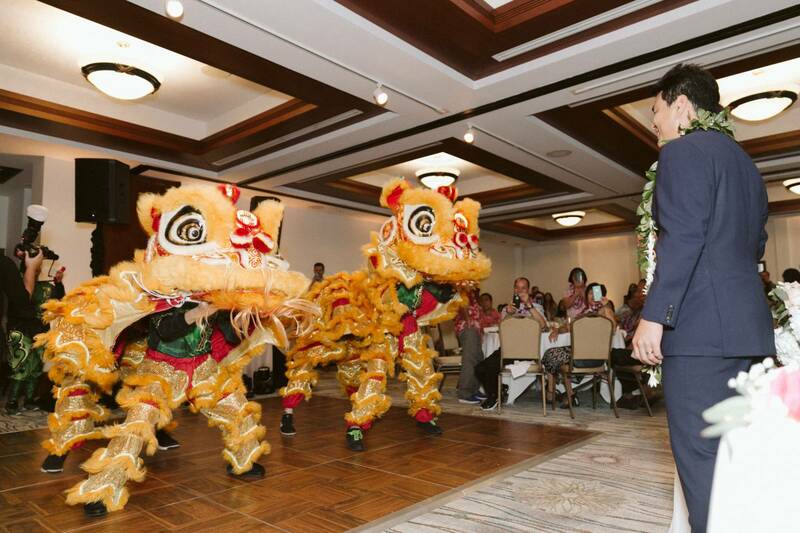 Esselle Weddings coordinated the perfect day celebrating the marriage of Brent and Qing.